Allen Bradley Power Flex 4M AC drive is the the smallest and most cost-effective members of the PowerFlex family of drives. It comes in different- different power ratings and provide V/Hz control, slip compensation. 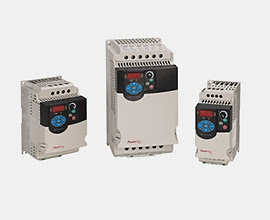 It comes with Modbus facility and this manual will provide you with the basic information needed to install, start-up and troubleshoot the PowerFlex 4M Adjustable Frequency AC Drive. You must read understand Catalog Number Explanation so that on seeing it you can tell the specification of the drive. Subscribe to Automation-Talk by Email.